This summer my husband was asked to sing "Hold Me, Jesus" in church. It wasn't a song he had sung or played before, so he practiced it a lot here at home leading up to that Sunday. As providence would have it, the week Will was practicing the song was an especially difficult week for our family. We were all weary and overwhelmed by life with a chronic illness. During that challenging week we would find ourselves singing or humming this song. Even the children joined in. 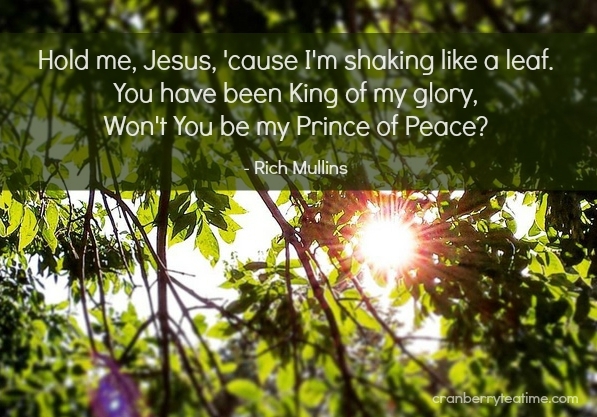 The words of this song were a grace, and they spoke peace into our lives. You may be going through trying times right now as well. This song comforted us, and I pray that it comforts you today too.